The overall development proposals were not before council Tuesday. Instead, council approved plans to renovate some heritage buildings and relocate two others as part of the two proposals. A pair of controversial development proposals for the corner of Spring Garden Road and Robie Street in Halifax has cleared a hurdle. Halifax regional council has unanimously approved the heritage aspect of the two separate tower projects for the city block. 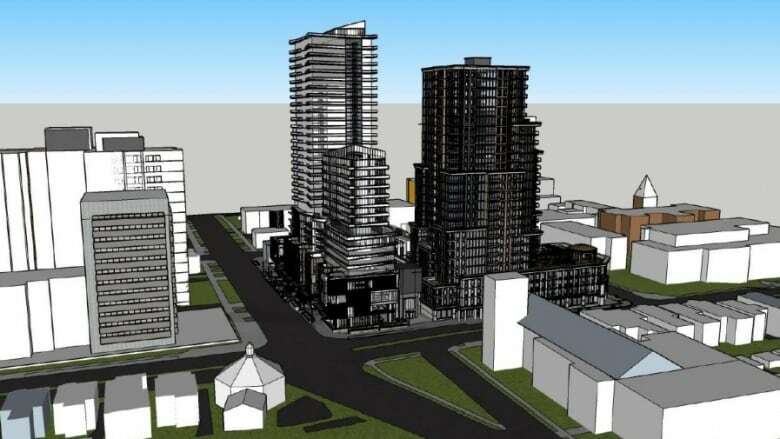 Dexel Developments and developer Peter Rouvalis have each submitted proposals for two towers, ranging from 16 to 30 storeys. A dozen other buildings would be demolished to make way for complexes that would provide residential units for 1,000 people and parking for 800 cars. The overall development proposals are expected to go to public hearings later this year. Citizens groups have criticized the municipality's approval process, saying the proposals are being handled in a piecemeal fashion and have not been put into context for the public.